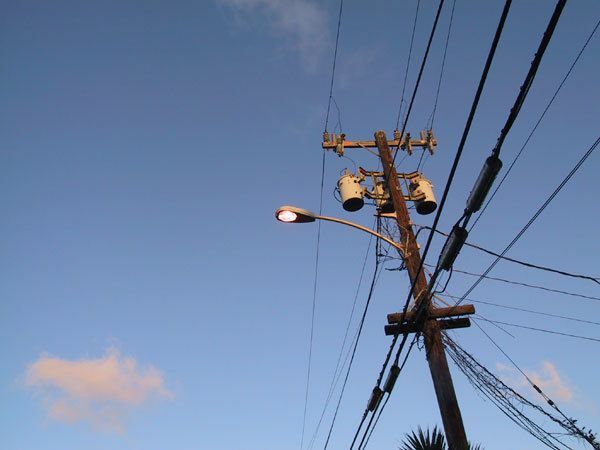 If your home is like many others in San Carlos, it probably looks like it is being tethered by unsightly power lines. You have also probably imagined what your property would look like if PG&E would simply bury those power lines. Aside from improving the look of your property, burying the power lines would increase public safety, reduce PG&E maintenance costs and help prevent power failures during storms. So how do we get it done? California State law provides a mechanism for areas within cities to form districts to carry out undergrounding (“Undergrounding” is the term California and PG&E use to describe the placement of all power lines underground). In essence, such districts must have the approval of a certain percentage of the property owners in the district, be approved by PG&E and other utilities affected and by the local City Council. Once all of these requirements have been met, all property owners within the district will be required to participate. Additionally, the Public Utilities Commission requires that certain PG&E funds be set aside for use by cities to defray the costs of undergrounding projects that have been approved by the cities and PG&E. The process would start by the formation of a district in San Carlos, or part of San Carlos. A cost estimate to have the undergrounding completed would be furnished by PG&E. If the petitioners for the district still wish to proceed after the cost estimate is furnished, they will move to phase two of the project which involves obtaining a petition. The petition must have at least 60% of the property owners in favor of the undergrounding. If the petition is successful, the city would look at funding options. Options range from property owners flipping the entire bill, to a combination of PG&E assistance, property owner assistance and State assistance. Exact costs and the chosen funding option then make their way onto a secondary petition which must, again, be signed by 60% of the property owners in the particular district. If the petition gains the required signatures, the matter would move on to public hearing and finally, approval at the City Council level. Clearly a bit of a mountain to climb and it would be interesting to see just what percentage of San Carlans would be willing to pay their fair share to do away with the power lines. When you take the power lines underground, all of the utilities go underground. So phone & cable go underground in areas where the power is undergrounded. There was a group of homeowners in San Carlos that explored this idea (converting overhead lines to underground lines) several years ago. Turned out the cost of undergrounding was too high for them to continue. In today’s economy, I’m not sure the answer would be any different. Years ago we asked the City Council to cede the City’s easement in front of our house so we could extend a fence line. Tom Davids et al said we’d never see the power lines go under ground – so the easement was ceded – for the entire block! I’d be interested in knowing what “my fair share” is for moving the utility lines underground. They do look awful and impede tree growth (by virtue of PG&E requirements re: trimming). Good idea – an idea like this needs a champion or two – someone/some group willing to spend the next ten years of their lives furthering the prospects for this. Matt Grocott is likely against this idea. I would also be interested in knowing what my fair share is. I have a friend who did this same thing in the city (SF-Richmond district) about 10 years ago. His block was a mix of new residents and residents who had been in their houses forever. I can’t imagine it was that expensive if most everyone agreed to pay. Also, it did not take 10 years, more like 18 months. I would love to see the utility poles gone from my block. If anyone forms a committee to look into it, I would be happy to help on that committee. Former City Council Member Don Eaton and former Public Works Director Parviz Mokhtari were the people at City Hall who helped explore the discussion of a possible undergrounding of neighborhood utility lines the last time a group of San Carlos residents got together and approached the City of San Carlos about this sometime ago. If there is interest in exploring it today, the first stop is probably the current Public Works Director (Robert Weil) at City Hall. I would also love to see the power lines go underground and have more trees. I would support this and I know many of my neighbors would as well. A quick web search suggests an initial cost estimate of $400 per foot to bury lines. If a typical San Carlos house has, say, 50 feet along the road, then an initial estimate would be $20,000.